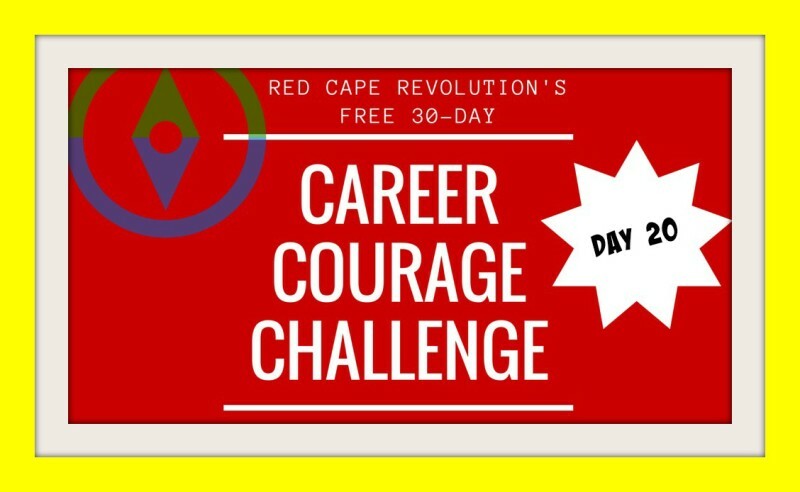 Welcome to the 20th day of your Career Courage Challenge. Congratulations on getting this far! Love to hear your experiences with the challenges in email or in the Comments at the end of this article, or on Facebook and LinkedIn, too. I’ve been taking the challenges along with you–read my notes in each day’s Comments. Maybe you think you have to be a big executive to have your own leadership and career retreat. Maybe you think you have to go to a five-star resort, or Richard Branson’s private island (oo-la-la). Naw. Retreats are good career strategies for everyone. Taking time for yourself can help clear away the everyday clutter and help you refocus on what’s most important to you. But they take courage to commit to, plan for, and participate fully in. And you can do it. Today, do some dreaming and scheming about yours. Get it booked on your calendar. work? What’s on your agenda? What ideas or questions need tending? And can you do it alone, or do you need a friend, partner, or coach? Our downloadable planner helps you walk through the big decisions. Get your retreat planned, and keep your career growth going all year long! I’m giving myself a mini-retreat in July, prior to a stretch of travel for speaking and onsite client team coaching. I’ve decided I don’t have to go far, but just have to get out of my day-to-day office space. Working on the questions to cover in that retreat right now. How about you? Will you plan your own career retreat?